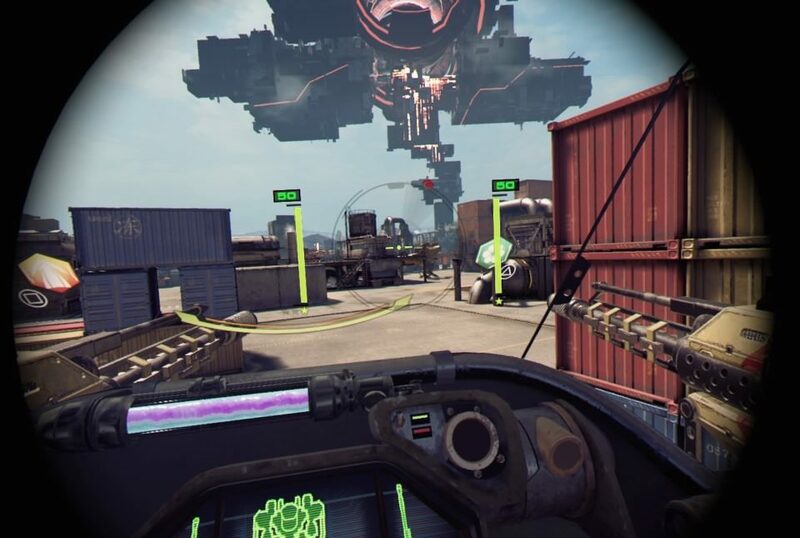 We have only seen a few mech games for the PlayStation VR; Archangel had you in the cockpit of a giant mech travelling through cities and county sides in a quest to save the world from a totalitarian government and Rigs offered us a future sport where mechs battled each other while having to score points in some pseudo football and basketball games. While both have their own positives, many of us still clamoured for an old school Mech battler in the vein if the now classic ‘Mechwarrior’ series of games. 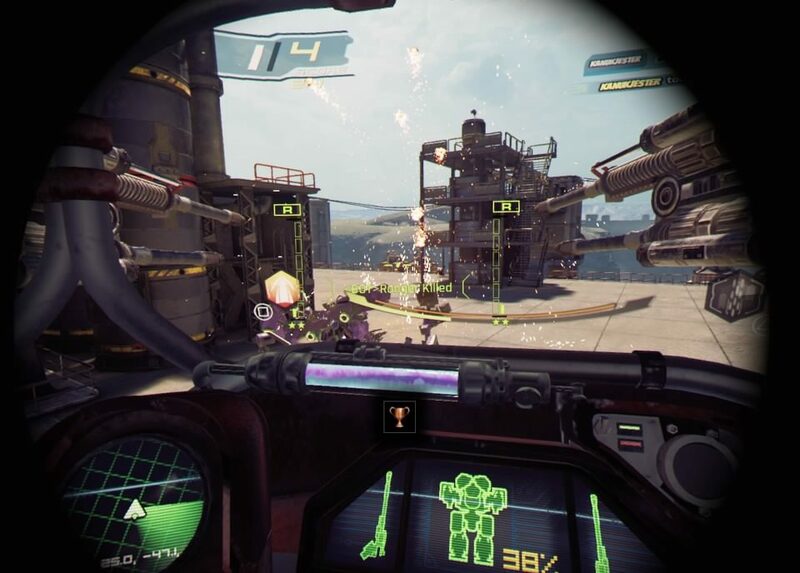 Now we have Code 51 Mecha Arena which on the surface looks to capture the magic of pitting giant mechs against each other in some arena style combat. Your standard view of the action, blinders and all! With a DS4 your mech has 2 options when it comes to movement. The left thumbstick controls the direction your mech will walk and you now have the option to use the right thumbstick to turn your mech or you can map the turning to head tracking, whichever is more comfortable to you. The major issue with head tracked turning is that your guns are mapped to your head with either control scheme so there is a little more freedom using the right thumbstick, but it’s inconsequential during gameplay. Your shoulder buttons act as your main weapons with some additional special abilities determined by which mech you pick before any match starts. There is a boost button and jump button, both of which consume energy, which replenishes once you stop using those abilities, and an additional energy shield which offers a few seconds of reprieve from an enemy’s onslaught. When I first turned Code 51 on, I was pleasantly surprised by the presentation. 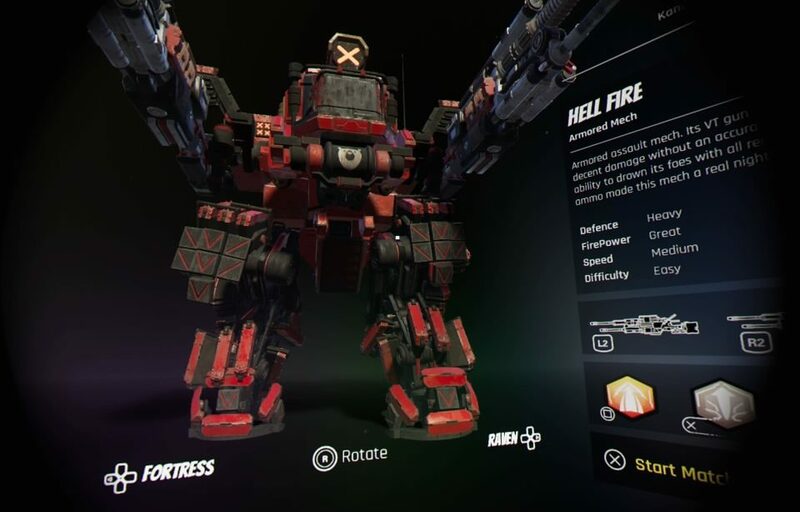 The mechs look great and each has a unique look and loadout so if you see a certain model coming at you, you may be able to guess what strategy they may try and implement. The scale of these mechs is awesome and while they aren’t quite as monstrous as the mech in Archangel, are still a few stories tall which is hammered home by the environments which range from a train yard, shipping dock and an almost alien looking temple. You’ll be firing around corners and through tunnels or leaping on top on these structures to unload on an unsuspecting foe. Explosions and gunfire are really satisfying and watching a downed mech rag-doll never gets old. 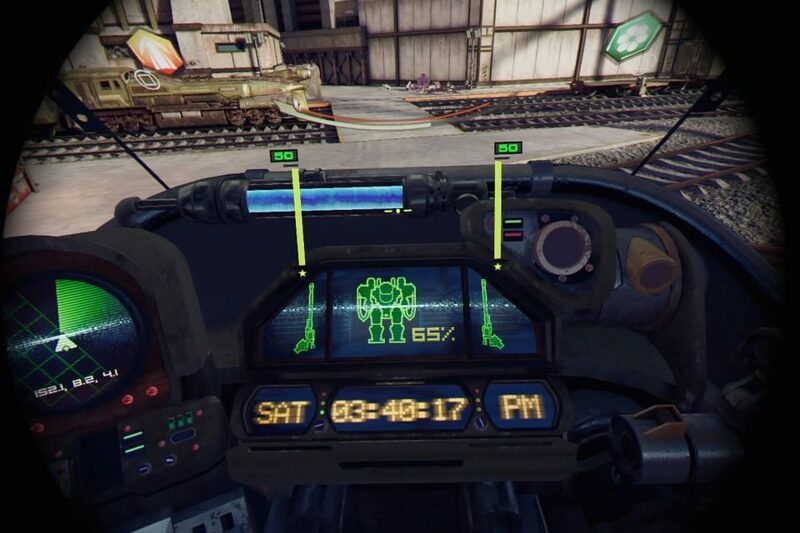 Each mech has a different cockpit view, some of which are just better to look at then others with a few even containing a clock displaying the real-world time, which is one of those things that I love in a game. My one minor issue with the visuals is the low-resolution images used for the distant backgrounds which look awful when compared to the rest of the game. The audio is a little more dicey with effects that seem to pop in and out at random. For the most part the audio is just fine but on occasion guns would fall silent for a second before kicking back in and distant battles play out in silence. In the multiplayer battles, getting multiple kills in a row results in a powerful voice saying things like “ustopble and Ulcher keeol” which is supposed to be “unstoppable and Ultra Kill” respectively. I swear I’m not making fun though and the way that actor delivers those few lines is both awesome and satisfying. No music plays during any of the game except during the last few seconds of a round which is a nice queue to get your last kill or 2 in or just to hide and survive. So, while the presentation is spot on, the overall gameplay is not quite at that same level. This is a multiplayer only experience, minus the tutorial and practice modes, and currently only has one vs option; free-for-all with up to 6 players. Each mech type has 1 set loadout that cannot be changed and at the time of this review there are no customization options to speak of. *** Each mech does play different from the other with lighter mechs being more agile and heavier ones having a little more firepower. Once you pick your mech, you simply start the multiplayer and join a random match with random players in a random map. There is no hosting option or map selection, nor is there any way to play with friends other than hopefully hitting start at the same time and praying the game throws you into the same server. It’s unfortunate these options aren’t available just yet and while just wanting to mess around in a random match works fine, if you are thinking of any kind of customization to your game, it’s not here…at least not yet. I really appreciate when real time clocks are in my games! Doubling down on the matchup issues is the AI options for the bots in practice mode or multiplayer, should a match not be filled with human opponents. The issue once again is that there are no AI options. The AI comes in one difficulty only and honestly plays like a forgetful 1st grader. On numerous occasions enemies would be firing at me, go behind cover, then come out facing the wrong direction, as if the second they lost sight of me they forgot about my presence. In my first match with bots, I had 16 kills to the 2nd places 8 and I was still trying to figure out the controls at the time. In every subsequent match, the bots were so mundane that the only challenge I could find was picking a crappy mech just to up the challenge. The multiplayer is a blast when you have other people to destroy, but the bots wear out their welcome quite quickly. Since launch the devs have included the option to turn blinders on or off which was one my biggest issues in my original review. Just click the left thumbstick to toggle between the options and enjoy. ***There is a level up system in play, but as far as I can tell it’s only there to unlock the next mech (9 in total), which only appears as after you have unlocked the previous mech and aren’t necessarily any better than the options already available. There are 3 types of power-ups littering the field; extra damage, health and special attack refresh which all serve their purposes quite nicely and if you want to succeed online, you best keep an eye for these floating icons. Your console displays an outline of your mech which turns red when those areas are being hit, but this is just superfluous as you have a singular health bar. Code 51 Mecha Arena has all the core features for a phenomenal mech battler that still needs a little more TLC. The core gameplay is some of the most fun I have in VR and the devs have been very receptive to the VR community and have said they are working on many features excluded from the initial launch. Matchmaking options, improved AI and new maps are apparently in the works and even if they weren’t and the game stayed as it is today, I can’t deny how often Code 51 calls me back and keeps me playing way longer then I intended…this is a blast! What would I pay? The $20 asking price for this is fair. Some will lament the lack of options currently available, but even as it stands today, this is one of the best multiplayer experiences available for the PSVR. 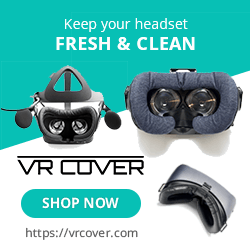 Smelly River Studios provided The VR Grid with a review code for this title and, regardless of this review, we thank them for that! The action is satisfying and fun! Real time clocks in your cockpit!! !